NHS delays – what can be done in the current crisis? Rosie Hodgetts takes a look at the recent delays in the NHS, and what you can do if you have experienced one. I was shocked and saddened to hear this week that an elderly patient passed away after waiting nearly 4 hours for an ambulance, despite reporting symptoms of chest pain when she called 999. This, coupled with the widely reported instances of delays in the NHS, has made me wonder what can be done about the latest crisis to hit the NHS? I have previously written about ambulance delays and, almost 4 years on, I am saddened to be once again exploring many of the same issues. However it seems that, this time, it is not just ambulances that are not reaching patients in time, but hospitals not being able to accommodate patients who are brought in. According to analysis by the BBC last week, more than one in eight patients taken to hospital by ambulance this winter faced a delay of more than 30 minutes on arrival. 17,000 people waited over an hour for treatment, whereas the expectation is that patients taken to accident and emergency departments by ambulance will be seen within 15 minutes. The daughter of one patient described the build-up of ambulances outside an Essex hospital as ‘gobsmacking’. 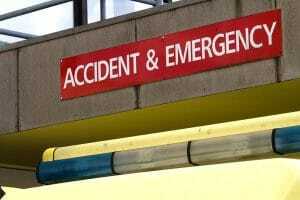 This winter has seen a perfect storm of circumstances hit the NHS. With underfunding being widely reported, staff shortages, and fewer available beds, it comes as no surprise to learn that our NHS hospitals are struggling to cope with demand. 17 of England’s 153 acute hospital trusts have reported occupancy levels of 98% or more and, despite NHS managers requesting funding of £4.1bn for services, reports say they have been forced to make do with just £2.9bn. Although the government has apologised for the delays this winter, patients have been left asking what can be done if the delay they experienced has adversely impacted on their injury or illness. Often, doctors will file a ‘Special Appeal’ to get much-needed treatment for patients who have suffered delays. However, unfortunately these requests have increased by 47% over the last 3 to 4 years, showing how extreme the pressure on services has become and how common a delay is. If you or a loved one has experienced a delay in treatment and this has had an adverse effect on your health or condition you may be able to bring a claim for clinical negligence. you have had to undergo more extensive surgery or treatment as a result of the delay or your outcome after treatment has been adversely affected. Sadly, there appears to be a lot of work needed to overcome the issues that have caused the extreme delays to treatment on the NHS. However, we hope that the current winter crisis at least alerts the government to the fact that there are serious issues with how the health service has been funded and managed in recent years.